Dedication never tasted so good. With more than 350 years of combined brewing heritage, we're more passionate than ever about making great beer. We've won many international awards, but awards aren’t as important as great beer. We're always working to perfect our brands and develop new ones to delight the world’s beer drinkers. Learn more about our brewing heritage. Our family of beers includes iconic global brands, longtime national favorites and new craft offerings brewers with just one thing in mind – delighting the world’s beer drinkers. We do this by giving our people the freedom they need to grow, explore and perfect their craft, all while providing the unwavering quality of a company that has stood the test of time. These values are brought to life through Our Brew and Our Beer Print. Our Brew is our cultural and strategic compass that guides who we are, what we do and how we do it. Our Beer Print is our sustainability platform. Wherever we brew and sell our beer, we leave an imprint on our communities, on our environment and on our business. It's what we call Our Beer Print, and we've been making sure it's a favorable one. After all, with great beer, comes great responsibility. Our family of beers includes iconic global brands, longtime national favorites and new craft offerings brewers with just one thing in mind – delighting the world’s beer drinkers. We do this by giving our people the freedom they need to grow, explore and perfect their craft, all while providing the unwavering quality of a company that has stood the test of time. We want our beer drinkers to appreciate one of life’s simple pleasures responsibly. 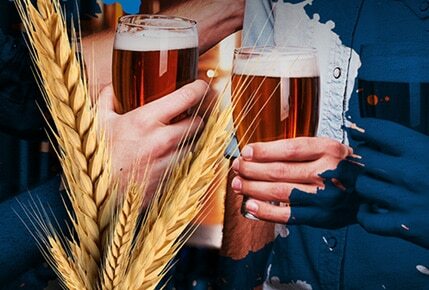 We champion sustainable brewing from field to stream to glass. Everything we do, we do together with communities and planet in mind. Wherever we brew and sell our beer, we want to leave a positive Beer Print - and we'll keep raising the bar to brew a responsible and sustainable future. We strive to be world-class stewards of our environment and to be an economic engine in our hometowns and communities.